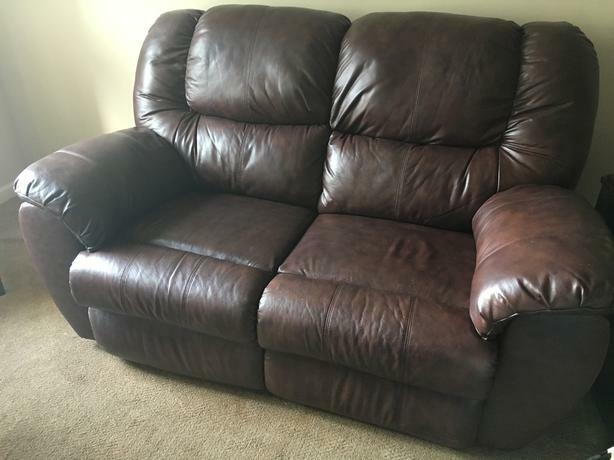 Brown Leather Loveseat recliner, low milage unit from mother who has moved to long term care now. Excellent shape and condition. $225.00 Please text or call to view 1-250-216-1718 Langford.